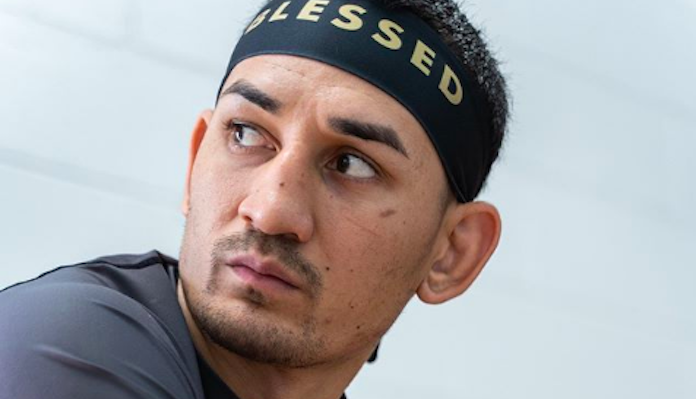 Earlier this month, we learned that the card will feature an interim middleweight title fight between top contenders Kelvin Gastelum and Israel Adesanya, and this weekend, we learned that it will also include an interim lightweight title fight between streaking contender Dustin Poirier and reigning featherweight champ Max Holloway. If things go according to plan, it will be the first card in UFC history to feature two interim title fights. The UFC has also announced a host of other interesting bouts for the UFC 236 fight card. At light heavyweight, former middleweight Eryk Anders will collide with ferocious knockout puncher Khalil Rountree. In another light heavyweight bout, former interim title challenger Ovince Saint Preux will rematch Ukrainian finisher Nikita Krylov. The card will also feature a pair of bantamweight bouts as Andre Soukhamthath battles Montel Jackson, and Boston Salmon collides with Khalid Taha, and a flyweight showdown between Alexandre Pantoja and Wilson Reis. What do you think of the UFC 236 lineup so far? This article first appeared on BJPENN.COM on 2/24/2019.